What if I were to tell you that there was an empowering 3 Day sustainability event that would change your relationships with both the planet and the people around you? 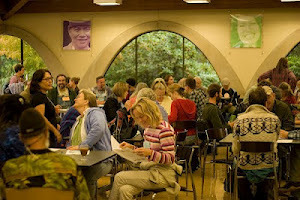 That it would include a formidable number of presenters, with a wide diversity of workshops to choose from – everything from organic agriculture and wildcrafting to natural building and appropriate technologies; from environmental remediation and disaster preparedness to community dynamics and global justice. And all with the over-arching theme of “Permeating the Mainstream”? And what if I were to tell you the price for this 3 Day Sustainability Event was only $75, including meals? Accommodations are extra: $15 for camping, or $30 for dorms. 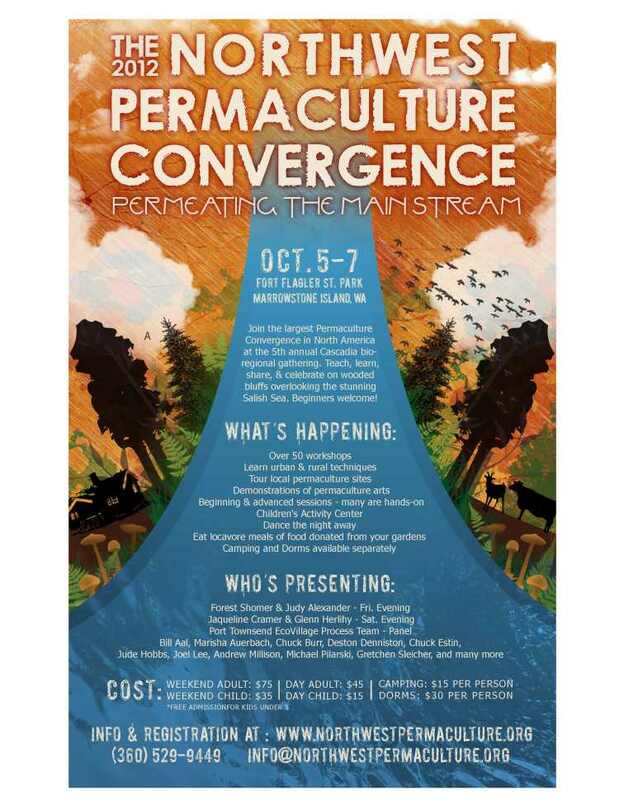 What I’m trying to lead you toward, dear reader, is to consider attending the 12th Annual Northwest Permaculture Convergence. 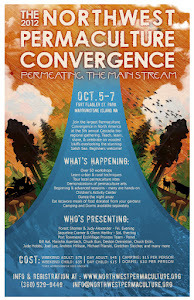 It all happens very soon, Oct. 5 – 7, 2012. This year’s event is being held at Fort Flagler State Park, a 784-acre marine camping park surrounded on three sides by 19,100 feet of saltwater shoreline on Marrowstone Island in Washington state, near Port Townsend. 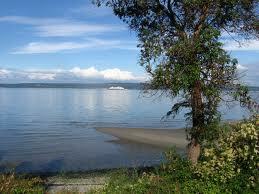 The park rests on a high bluff overlooking Puget Sound, with views of the Olympic and Cascade Mountains. Many historic buildings remain at this 19th-century-established military fort. PLAN B 2012: Are you Ready? And many more…I didn’t mention any of the more practical, hands-on workshops, or ANY of the events happening Sunday. Check out the website, check out the Schedule and bios of the Presenters, and consider attending. If nothing else, you’re guaranteed to have some fun and meet some great people. A chapter from Dan Bednarz’s forthcoming book, several important threads are woven together in this excellent analysis. In the last post I talked about Mitt Romney’s Energy Plan, where one point was his interest in increasing states rights over federal rights to regulate. The purpose of the amendment is to allow states to veto any federal “law or regulation.” Federal law is not limited to statutes and regulations but also includes treaties and our Constitution. 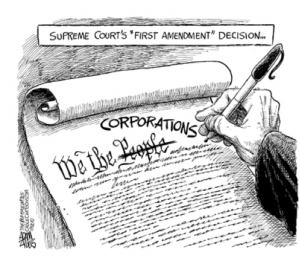 The Supremacy Clause of Article 6 provides that our Constitution, federal statutes and treaties constitute the supreme law of the land. Back in 1819, the U.S. Supreme Court held that this Supremacy Clause is the essence of the balance of powers between the federal government and the states, providing that federal laws supersede conflicting state laws. This means that state action cannot impede the federal government’s valid constitutional exercise of power. Thus, one purpose of the Repeal Amendment is to change the balance of powers existing between the federal government and our states. 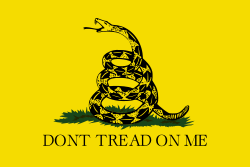 The states rights /Tea Party activists invoke the doctrine of nullification – “the idea that states have the right to unilaterally render void an act of the federal government that they perceive to be contrary to the Constitution.” They point to the writings of Thomas Jefferson, among others, for support. See Jefferson’s Argument for Nullification and Limited Government. Now, it is interesting to me that this line of reasoning used by Mitt Romney and used by the Tea Party – that local government can supersede federal government – sounds surprisingly similar to the arguments made by the “community rights” pro-environmental organization, the Community Environmental Legal Defense Fund (CELDF). They do not talk about states rights, but rather about “Community Rights,” superseding both state and federal law. Local governments have an abhorrent record of doing the right thing. They have a long history of abusing their own, especially the poor, but anyone not in favor. If local governments had been willing to do the right thing, federal imposition of civil rights would not have been needed. “Every city is not and cannot be sovereign and independent. To believe otherwise would be to undermine the very idea of the rule of common law, common justice, and common purpose. It would undermine the “we” in We the People. It would become, each community for themselves; our way or the highway. Local rejection of federal authority has a long, sordid past, known sometimes as “nullification” and put into service by racist southerners attempting to oppress and discriminate under the cloak of local democracy. Hyper-local democracy is a dangerous and potentially corrupting tool; you don’t want to use a tool which you would not allow others to use. The enlightened arc of history has been to expand our boundaries of shared community and values, not narrow it down city by city. The rule of law should not be thrown out so quickly. The ends do not justify the means. 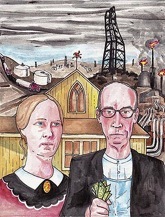 A related concern is that of NIMBYism, where people, for example, continue to use natural gas, but oppose fracking operations in their community, or environmentalists who support alternative technology, but oppose wind turbines being sited in their communities because it might ruin some people’s view, and affect property values. Alternatively, people like Amory Lovins and David Holmgren argue that destruction of the environment should occur in the places where people are using the resource that destroy the environment. If we are made to suffer the consequences locally for our over-dependence on fossil fuels, maybe that would encourage us to actually reduce our consumption. I understand Lovins once suggested, tongue-in-cheek, that if tailpipes of cars were routed so that exhaust was delivered inside the vehicles for people to breathe, only cars with zero-emission pollutants would be sold. I’m a big believer in relocalization, but I still believe we need to work within the realm of federal laws as well as our continued connection with the world as a whole. The Romney plan says “Only government is standing in the way of energy independence.” CELDF says government has been hijacked by corporate interests and are standing in the way of sustainability. To me it seems clear that CELDF’s analysis is basically correct. A huge barrier to achieving real sustainability is the corporatocracy, and indeed the structure of the entire neoliberal global political economy that exists today. This must change (and it will change, as this system dependent upon unending economic growth will not survive long in the post carbon civilization it is inadvertently helping to hasten on). How to get there is where I disagree with CELDF. 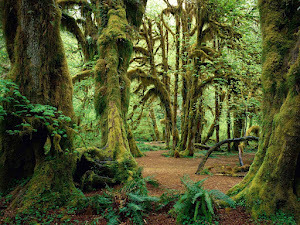 This post has highlighted one area of disagreement, which is the idea that home rule “community rights” government is an effective strategy for achieving protection of the environment. I have other areas of disagreement as well, which will hopefully be addressed in future posts. However, I also want it to be clear that I applaud CELDF and its sister organizations for the degree of passion with which they stand up for the environment, and for shining a light on the concentrated power held by today’s multinational corporations.